Create a blog post with embedded media from SoundCloud, YouTube, and Flickr of harmonies. How was working with the notation editor? What did you notice about the note structure of the harmony? Where was the tonic note and where are the tension building note(s)/chords(s)? 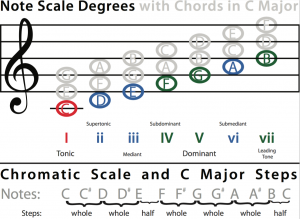 Remember that the note and chord progression should be in C Major. Use the chords that best support you melody line. 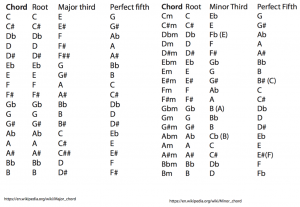 Feel free to copy and paste the chords and notes from Mr. Le Duc’s note and chord progression sample (GarageBand 10). 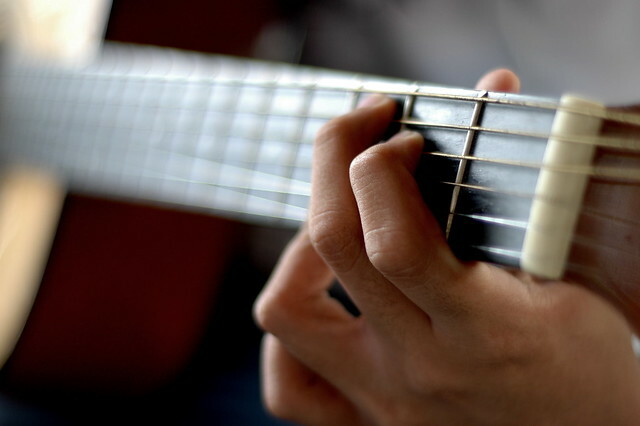 Have more than one chord in each measure, if you want. The chords should be placed on the beats you want to emphasize. Remember to start on the tonic note/chord (C) and build tension in measures 4 and 5 with the Dominant / Subdominant note/chords (green) and end on the tonic (C) note / chord (red). Remember that rising notes suggests happiness and falling notes sadness. Remember that increasing tempo suggests happiness and slowing tempo sadness. How did you structure of the harmony? Where is the tonic note and chord and where are the tension building notes and chords? Are you using Contrast, Repetition, and/or Variation? Which measures?